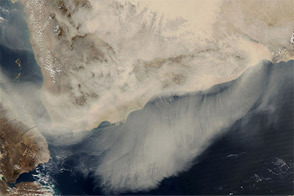 A dust storm blew across the Arabian Peninsula in mid- to late March 2012. 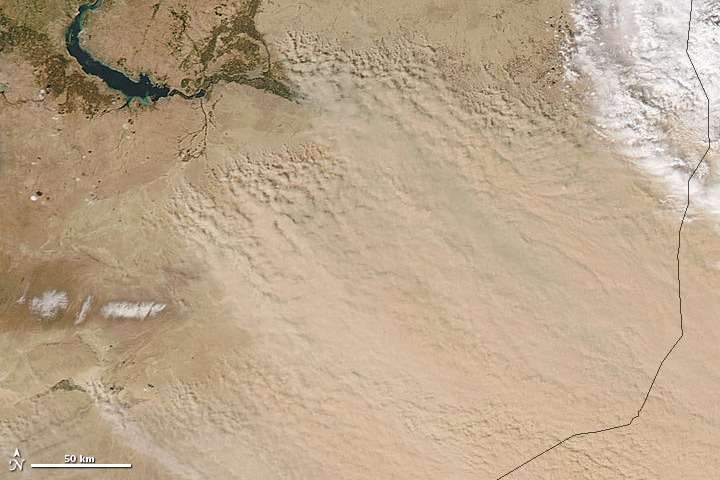 The storm formed along the Syria-Iraq border on March 17, and the Moderate Resolution Imaging Spectroradiometer (MODIS) on NASA’s Aqua satellite observed the storm the same day. 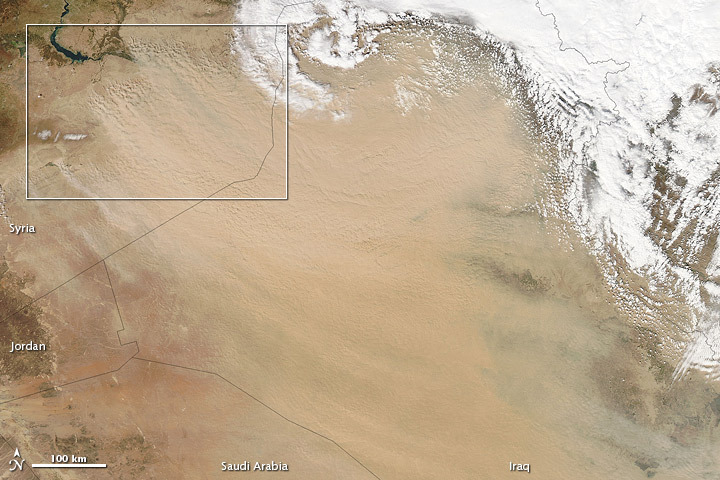 These natural-color images offer wide-area and close-up views of the same storm. The area outlined in white in the wide-area view shows the area covered in more detail. 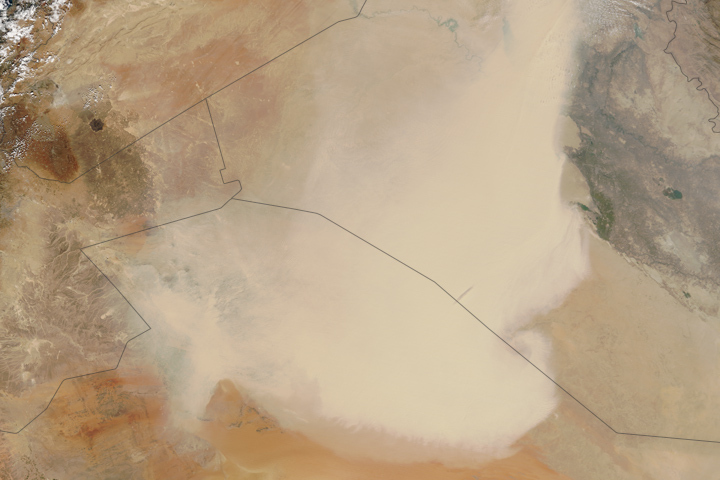 Buhayrat al Asad (also known as Lake Assad) is a reservoir on the Euphrates River. 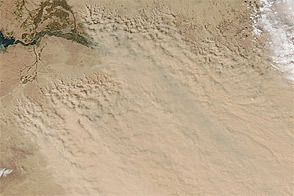 Southeast of the reservoir, rocky desert covers large stretches of Syria. 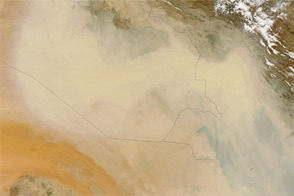 Many of the dust plumes that blew across Syria and Iraq arose from source points in this region, clearly discernible in the close-up image. 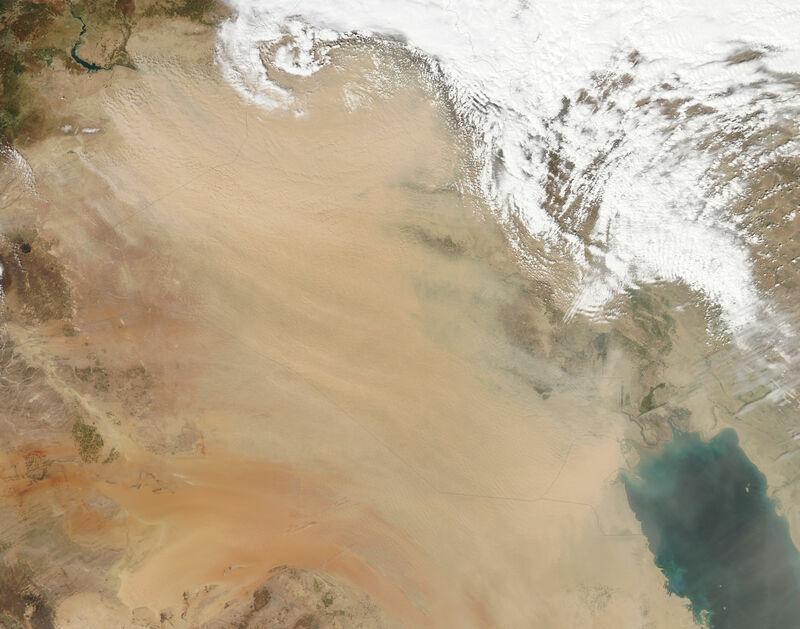 Winds carried the dust toward the southeast, and the storm picked up more fine sediments across Iraq. 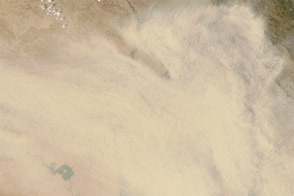 Acquired March 17, 2012, this natural-color image shows a dust storm arising near the Syria-Iraq border. 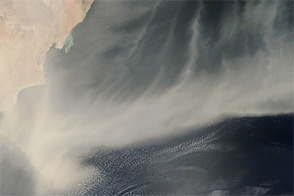 A dust storm blew across the Arabian Peninsula in mid- to late March 2012.